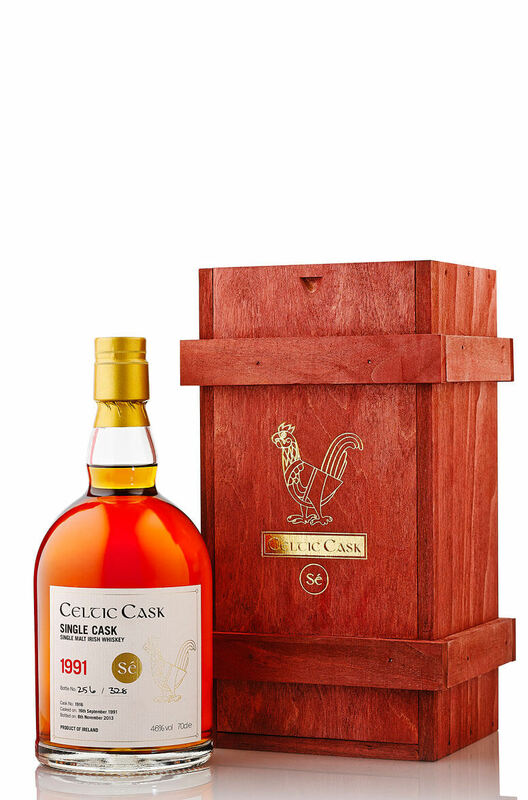 This is certainly on of the most interesting releases in the Celtic Cask range. For the Seacht we took some whiskey that had matured in 2nd fill Bourbon cask and filled some of the contents in a Vin Santo Carratello (small barrel) from Altesino. Vin Santo is a highly desireable Italian dessert wine that is made by air drying grapes slowly in barn lofts. The effect the tiny barrel had on the whiskey has been very interesting. It has an exotic and spicy flavour, quite unlike any other Irish whiskey, but absolutely delicious. A mere 66 bottles of this have been made! Nose Dark chocolate, espresso coffee, engine oil, dried fruits and bananas. Palate Exotic and spicy with aromatic spices, sultanas, fig rolls, dark chocolate truffles and coffee cake. Finish Unlike any other Irish whiskey. Lots of savoury, spiced fruit flavours. Distillery Undisclosed- double distilled on the island on Ireland. Types of Barrel used for Aging Initially matured for 11 years in 2nd fill bourbon casks before a final finishing in a small Vin Santo wine cask.